Humans emerged as the strongest species mostly because of two advantages they possess. We are equipped with an extremely improved complex brain and powerful hands. Our hands include a bone called styloid process which helps the middle finger to connect to the wrist bone; a process provides us with a stronger grip. But in a striking finding, scientists have collected enough evidence to show that human like hands arrived much before true humans. In this new study, it was found even the most primitive ape members were capable of processing food. They could successfully perform some sophisticated tasks like making basic stone tools. The finding of this study challenges out long time understanding of human history and evolution. The use of stone tools, previously thought to be a feature arrived with genus Homo is all likely to change with the recent results. Matthew Skinner from the University of Kent and the Max Planck Institute for Evolutionary Anthropology who led the study, along with the team analyzed bones of the genus Australopithecus africanus; they were known to exist nearly about 5.3-2.6 million years ago. It was found that the members of Australopithecus used to possess a mixture of features that matched both ape and human. Their bone structures helped them to walk upright but the presence of long arms suitably justified that these were mostly used for climbing trees. 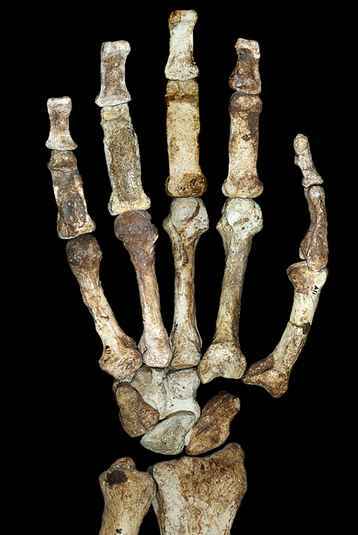 The human like features of their hands, made Australopithecus to have better and stronger grips. Studies of history and evolution strongly suggest that precise and strong grip was all needed to make stone tools. And as Australopithecus indeed had that precision in their grip, there remain immense possibilities that they did make some of the tools to make life comfortable. But those tools, if at all they exist are yet to be discovered. The first stone tools found in Ethiopia date back to 2.5 million years ago, a period not associated with Australopithecus. But some pieces of evidence are linked to 3.4 million years ago, when Australopithecus breathed on planet Earth, said Skinner.